Editor's note: This story has been updated with a comment about security deposits, sent after publication from the PR firm retained by Lightstone Group. Alberto Quintero arrived there a few months after the mall's opening to start a gallery called Fusion Art Group in one of the smaller central spaces, which were a maze of chainlink-fenced stalls. The more than 100 vendors varied in their crafts (from professional glassblowing to collectible comics), but they all were excited and eager to get to work, Quintero says. 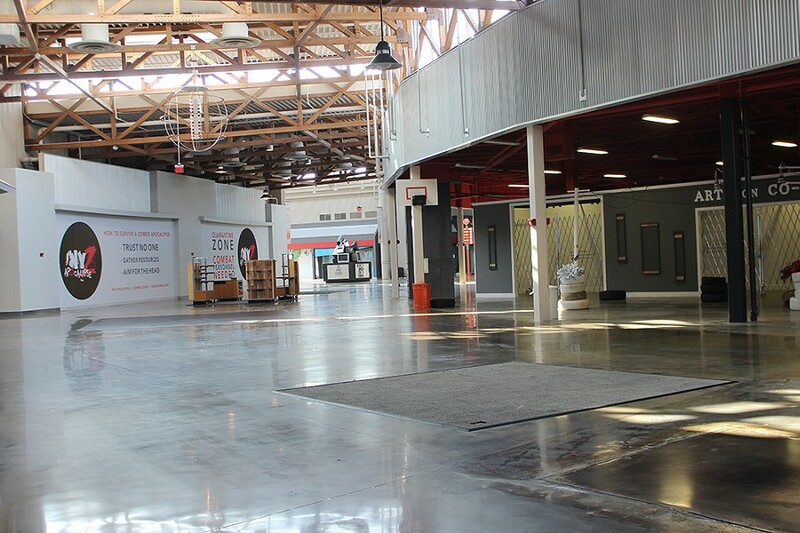 But then the revolving door started: Smaller pop-up shops would leave Artegon as more filtered in. 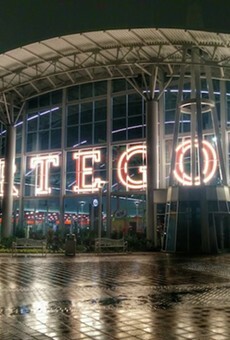 Rent was affordable, but single owners struggled to sell to the small crowds and abide by Artegon's strict hours, which obligated them to be at the mall seven days a week, from 11 a.m. to 9 p.m. on most days. "I loved the space, the concept, the people that were around me, but the management was a bit brisk," he says in Spanish. "They never really listened to us or took our ideas into account. Bad marketing and a lack of human quality made that project fail. But I was happy, in spite of everything. People enjoyed my gallery, and I invested a lot in it." 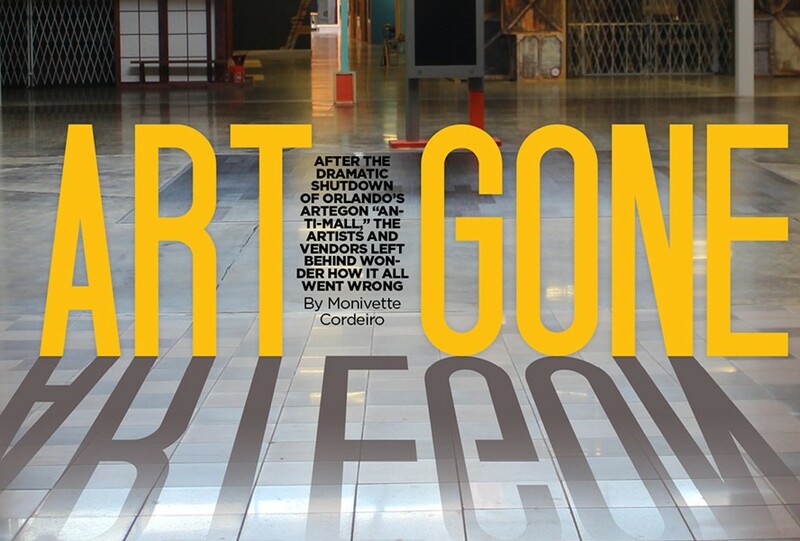 In 2015, the Orlando Sentinel reported control of Artegon had shifted to the parent company Lightstone and its employees, including chief creative officer David Miskin. Miskin helped reinvent the stores by adding more colorful art pieces throughout and replacing the vendors' wire cages with actual storefronts. 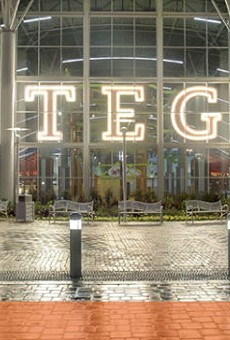 Artegon also announced plans for a food hall that would bring in unique restaurants. When Doug Snider arrived there 11 months ago to open a pop-up shop dedicated to wood sculptures, his rent equaled about $700 every month; he was simply charged a percentage of his sales. "The marketplace was like a revolving door for vendors," Snider says. "The nine months that I was there I saw at least 25 stores open and close because the first three months the rent would be only 20 percent of all sales, which is the bait. Then, they would make the owners pay a large deposit, visual team fees, sign fees and make a good investment thinking they would not leave when the three-month lease was up and the much higher rent kicked in."